I can't believe that in 7 weeks it will be Christmas. Where has the time gone? Luckily I'm not leaving everything to the last minute this year... just the present shopping :-) On Saturday I had a precious few hours to get into my craft room. 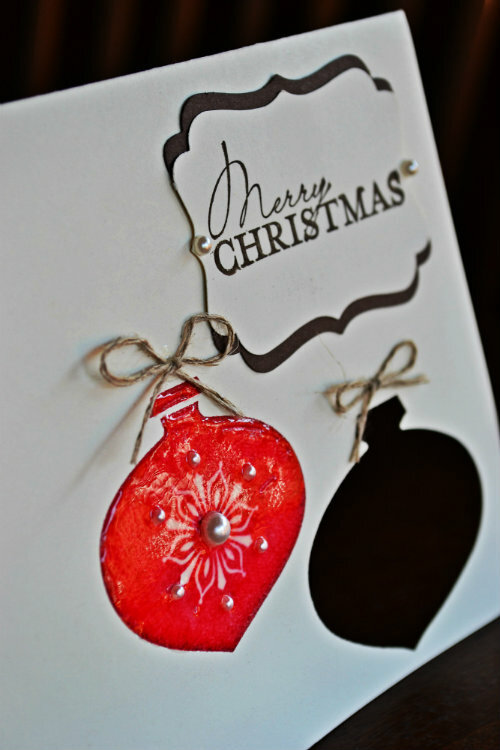 With Christmas just around the corner I decided to focus my effort on Christmas cards and craft. This is the first card I made. The design was really simple - an image repeated twice. I punched out one ornament so that when you open the card it shows on the inside. 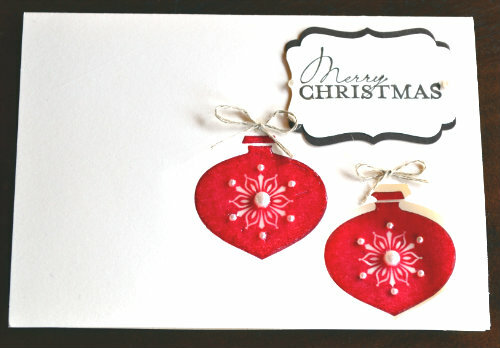 Some Crystal Effects and a few pearl embellishments completed the card. All in all it took me about 5 minutes to make. Pretty simple. When you have a lot of cards to make for an occasion keeping it simple with just a few flourishes really helps if you are pressed for time.